No matter what type of food service establishment you operate, it’s important to outfit your kitchen with commercial work tables, so you can prepare entrees, sides, and desserts. 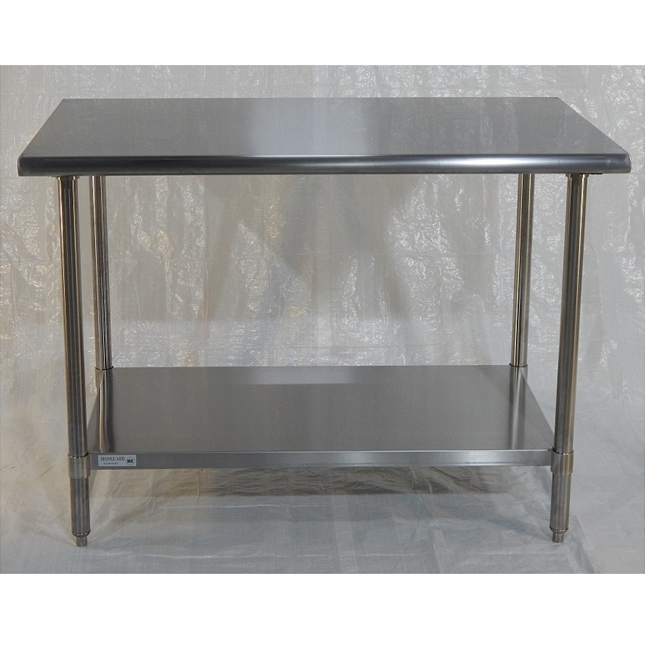 Whether you own a restaurant, hotel, or catering business, or you run a bakery, cafe, supermarket or you are an outdoorsman and need a sturdy work bench to clean the catch of the day, Iron Guard Work Tables are perfect for you. The work tables are sturdy 16 Gage tabletops with 18 Gage under shelf with strong galvanized legs held with 2 screws, allowing you to tenderize meat, chop veggies, slice up fruits, and mix salads knowing that your work table to going to hold up to it all.